The 2018 Aloha Classic was held at the end of October earlier this year and remains one of the most prestigious events in the windsurfing world. 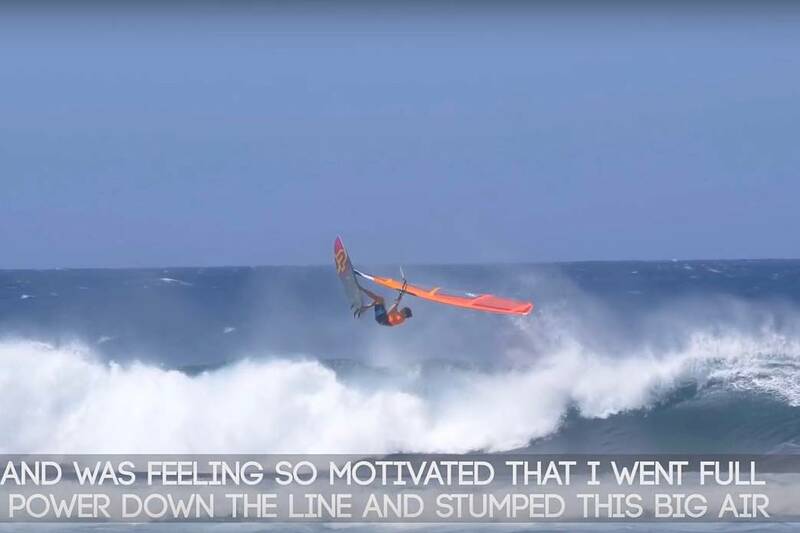 23-year-old Federico Morisio (JP / NeilPryde) was one of the sailors competing and has just released an interesting new video, which shows you inside his mind and what it’s like to compete at Aloha Classic. The young Italian eventually finished in joint 9th, which was his best performance so far in Maui. Federico Morisio (JP / NeilPryde): “I’m really really excited to show you this NEW VIDEO!!! I wanted to share with you more details and personal thoughts about the most important competition of the year: the 2018 IWT Aloha Classic / PWA Qualifier! The video is a highlight of my competition, my emotions and my point of view! I sincerely hope you will like this new kind of content and I really please you to comment if you enjoyed it and tell me if you would like to see more about my trips, competitions, daily routine or whatever! !